When Sigmund Freud meets Salvador Dali two of the world’s greatest and most eccentric minds collide. 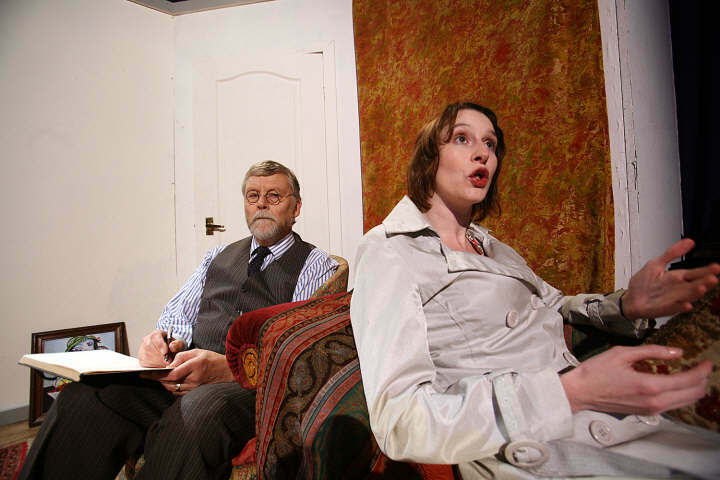 This outrageous comedy finds Freud in his quiet suburb of Hampstead where he hopes to spend his last days in peace. When Salvador Dali appears along with an attractive young student of Freud’s work, all hell breaks loose. Why is Freud burning his latest publication? Why is Dali berating him? Why is there a semi-naked woman in his closet? Why is he close to hysteria? 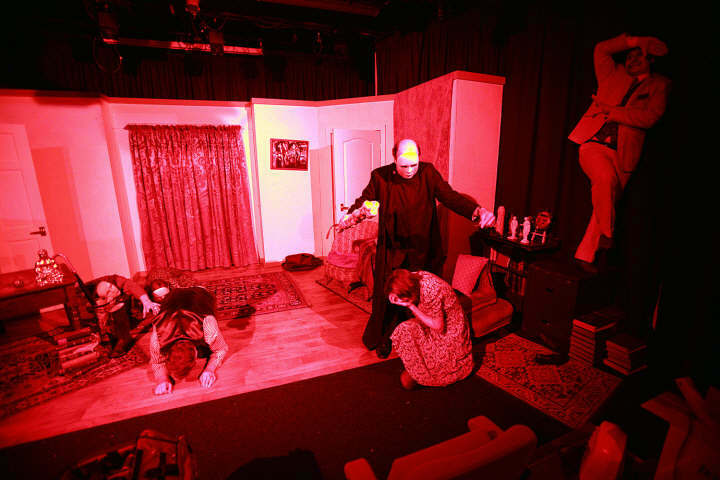 THE Lauriston Studio was set up to provide us with a more varied theatrical diet, an alternative to the usual fare served up on Trafford?s amateur stage. 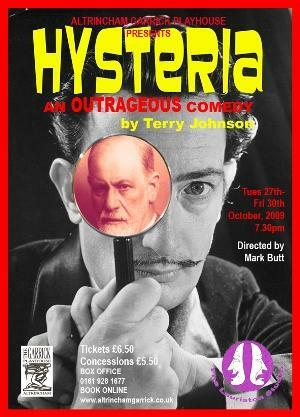 It certainly delivers with?Hysteria, which has to be one of the most unusual plays I?ve ever seen. Billed as a farce, it contains the obligatory loss of clothing and several misunderstandings that you normally associate with the genre and yet there?s a large chunk of the piece that?s deadly serious. Subjects don?t come any more serious than child abuse. Light relief comes courtesy of the meeting between the celebrated ?shrink? Sigmund Freud and the surrealist Spanish painter Salvador Dali. Both men are expertly played by Richard Sails and Matthew Stead and they couldn?t be more different. If Freud comes across as serious and cerebral, Dali is painted - get it - as shallow and vain. In fact the Spaniard loves himself so much it?s a wonder he doesn?t walk into Freud?s house holding his own hand. 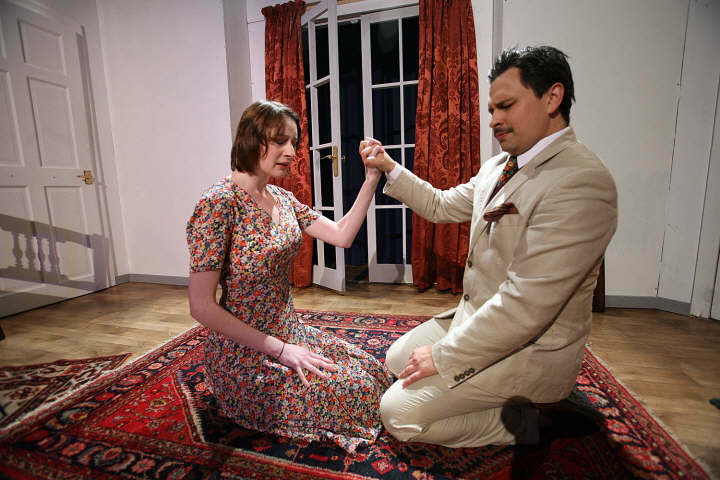 Claire Brookes comes very close to spontaneous combustion playing the psychologically scarred Jessica and if she can act like this, offers of further roles are sure to flood in. 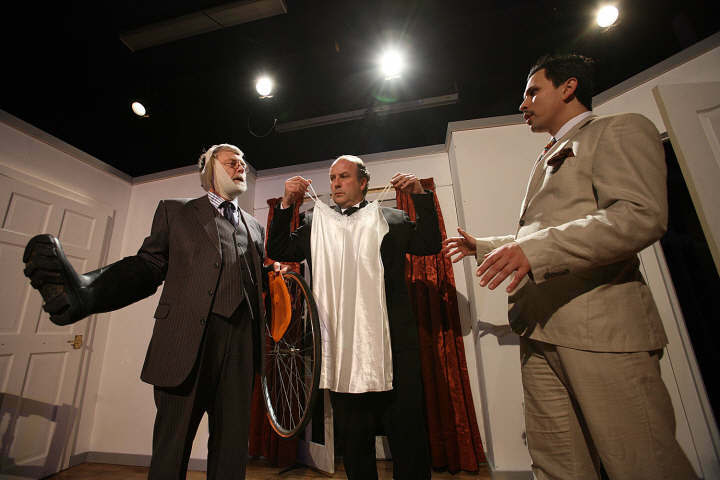 David Gonet is an endearing and engaging presence as Freud?s physician, Yahuda. I?d like to see this again when I?m feeling fresher and hadn?t been working all day, because Terry Johnson?s dialogue contains some nimble quips and you probably miss some of them the first time around. Disturbingly different, with plenty of laughs along the way.